It was another big weekend for Illinois Football in Champaign, IL. just maybe not in the same exact way as the previous weekend. 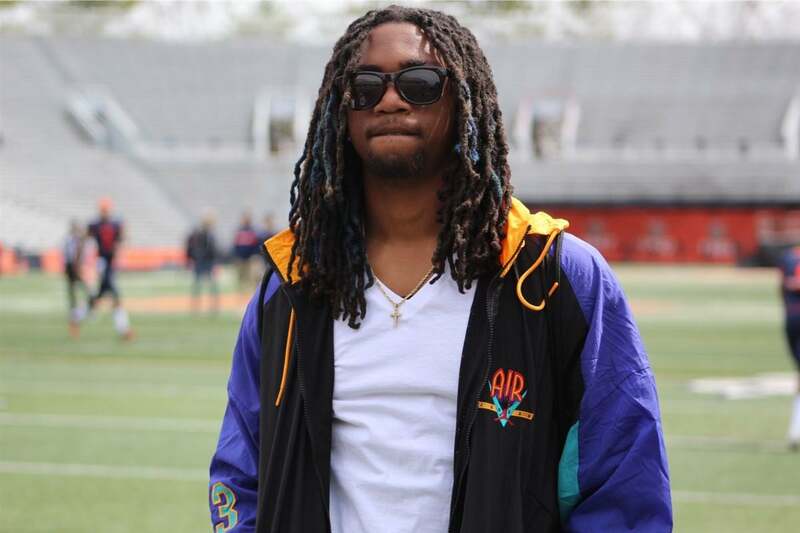 The annual Illinois Spring football game took place and was a spectacle in itself. While the game provided Illini fans with a glimpse of what they might see in the fall, all eyes were on the recruits visiting this weekend. A guy that might have gone unnoticed was Georgia native Nae’Saan Dickerson. He was offered by the Illinois staff in the middle of February and decided to come to Champaign check out LittyvILLe . Currently, Nae’Saan Dickerson is rated as the 177th wide-receiver nationally, 120th player in the state of Georgia, and the 1174th player in the nation. To the average fan Dickerson’s rating (per 247 Sports) doesn’t wow you, but I urge fans to watch his Hudl and other film on him because he could be the Wide-Receiver with the most potential of all the 2020 Illini recruiting targets. During his junior season at Cedar Grove High School, Dickerson finished with 280 receiving yards on 23 receptions with 1 TD. I got a chance to speak to Dickerson about his visit to Champaign. The Illinois program has struggled the last couple of seasons with wide-receiver depth and it has been a major contributor of the offensive woes in the passing game for the Illini. Dickerson’s size and athleticism allows him to get to 50/50 balls in one on one situations and is that possession type of wide-receiver who would be a nice Red-zone target for future Illini quarter-backs. In the past Head Coach Lovie Smith has made his money by locating talent known as “diamonds in the rough” and I believe Dickerson can be one of those type of players. I think it is safe to think that Dickerson will be a part of the 2020 recruiting class sooner rather than later. Dickerson has already attended and competed in The Opening in the past and plans on attending the Rivals Showcase later this month.